LONGMONT — Boulder County’s communities have either adopted or are still considering what’s likely to be a patchwork of approaches to regulating medical marijuana centers. “It kind of makes it a real mixed bag for us,” Boulder County Drug Task Force Cmdr. Tom Sloan told Twin Peaks Rotary Club members on Thursday. Sloan added, however, that state and local governments’ inspection staffs eventually will bear most of the burden of enforcing state and local rules for businesses that dispense or grow medical marijuana in Boulder County. The Boulder County Drug Task Force will focus its efforts on complaints alleging criminal wrongdoing by the owners or employees of medical marijuana centers, Sloan said. Despite the rapid growth of medical marijuana businesses in Boulder County over the past three years, “we’ve not had any issues with any of our dispensaries on a criminal level,” Sloan told his Rotary Club audience. There have been some problems with marijuana growing operations that exceed the limits and restrictions set by state and local laws, Sloan said. He noted last August’s discovery of growing sites that covered 6 acres and included about 7,500 plants near Miller Rock, southeast of Colo. Highway 7 and Colo. Highway 72. Authorities said last year it was unclear if that crop was even destined for sale in Boulder County, but it was the largest illegal marijuana growing operation in the county’s history. Sloan said marijuana — whether it’s sold illegally on the street or legally possessed by medical marijuana patients and their caregivers — can be “quite a distraction” for law enforcement agencies, if only because there’s so much of it in Boulder County and such a high demand for it. He said he’d prefer to have the Boulder County Drug Task Force concentrate on cases involving other kinds of illegal substances, like cocaine and methamphetamine. The task force, managed by the Boulder County Sheriff’s Office, is a multiagency unit of officers and investigators from the Boulder, Erie, Lafayette, Louisville and University of Colorado police departments and the sheriffs’ office. Longmont is not a member, but Sloan said his task force works closely with the Longmont Police Department’s drug enforcement unit. The Longmont City Council is expected to resume its discussion of potential restrictions on medical marijuana centers — and possibly an outright ban — on Tuesday night. Lafayette and Lyons are in the midst of adopting medical-marijuana regulation ordinances. Louisville and Boulder allow but regulate medical marijuana centers, while Erie and Superior have banned them. Previous articleCONNECTICUT MM BILL CLEARS! Someone should jus drop a boulder on Colorado. Not really sure why Colorado voters are letting all this free interpretation of law take place but somehow I actually think this will work. 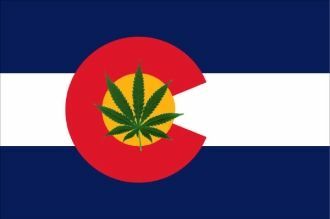 I think this can definitely be a good thing for the people of Colorado especially if the regualtion really does stay local.